Answer Middle-earth's call with our glowing Staff of Wizard Gandalf! This is an official reproduction that includes a certificate of authenticity. 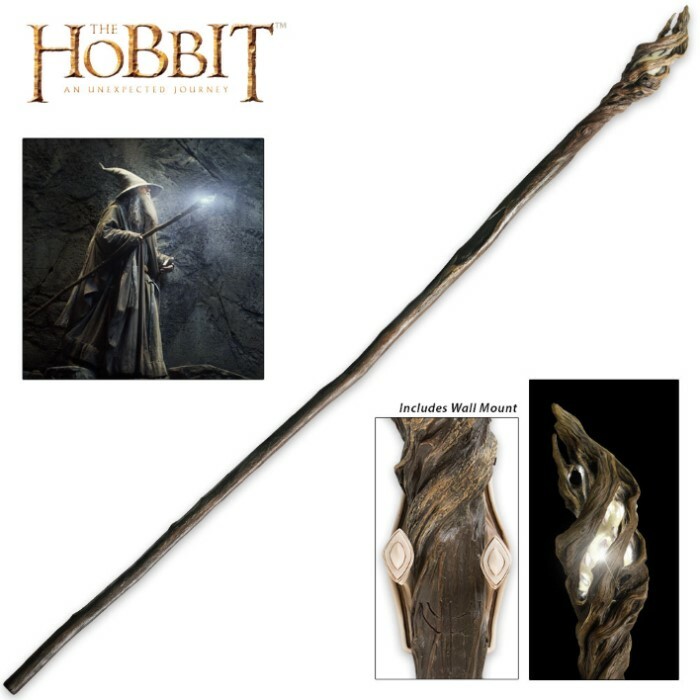 Crafted using molds from the film prop itself, our special edition replica of Wizard Gandalf's staff features a glowing translucent crown as seen in the movie. Each staff has been cast from poly resin and hand painted for authentic details. 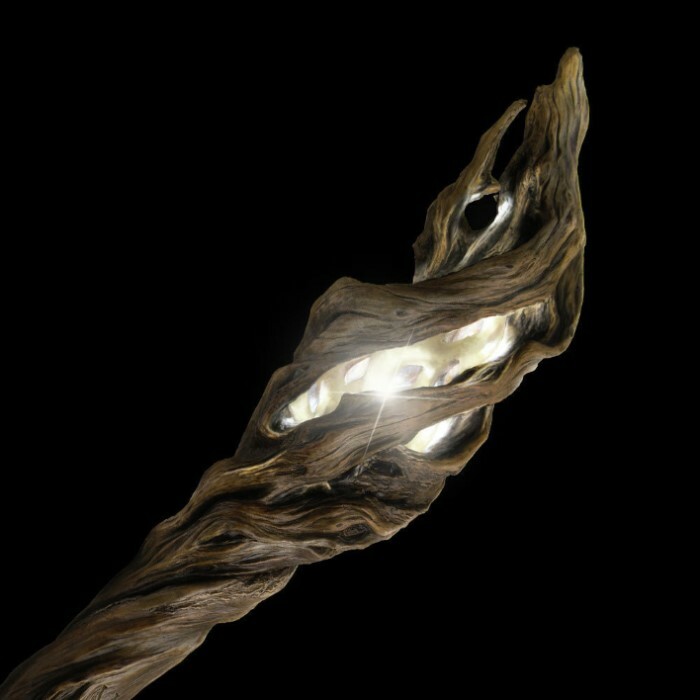 The staff's head lattice holds the custom molded glowing light source within, while a hidden button on the side of the shaft provides control. A battery compartment is hidden on the bottom of the staff to power the light, providing approximately 20 hours of service before the two "AA" batteries need replacing. This piece measures a long 73 in. overall and includes a custom Elven style wall display, complete with Gandalf's "G" rune artwork.